Basic beach front bungalows in Ko Chang. 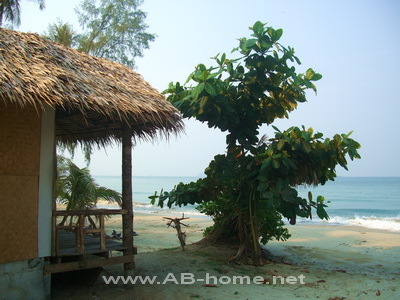 Tiger Hut bungalow offers cheap accommodation and a restaurant on the beach of Klong Prao. The beach huts are very popular for backpacker who looking for beach bungalows with Robinson feeling. The bungalows at Tiger Hut Koh Chang have a shower, toilet and a fan. This simple but cozy guest house is one of the last real travel huts on the island in Thailand. Tiger Hut Ko Chang has as well a pool table and a bar area for long nights on a quiet beach on Thailand’s elephant Island. The cheap prices and the familiar atmosphere at Tiger Huts attract every year many Thailand traveler and Asia backpacker from around the world. This budget huts are a nice place for simple beach holidays on a tropical coconut beach. 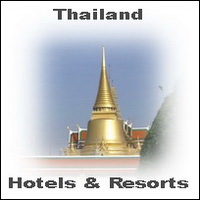 For bookings and reservations of Koh Chang accommodation click here.